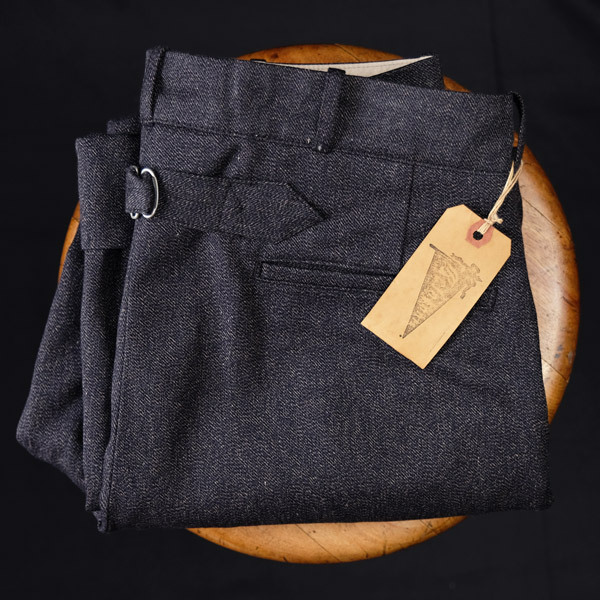 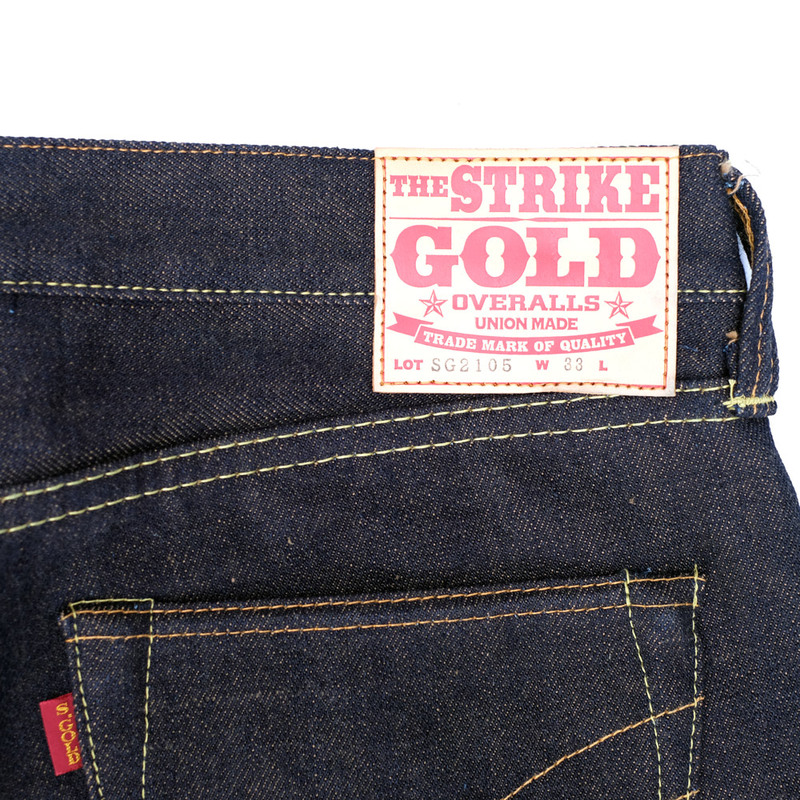 A slim straight 17oz raw (unwashed or sanforized) pair of pure indigo dyed jeans from the quiet masters of detail: The Strike Gold. 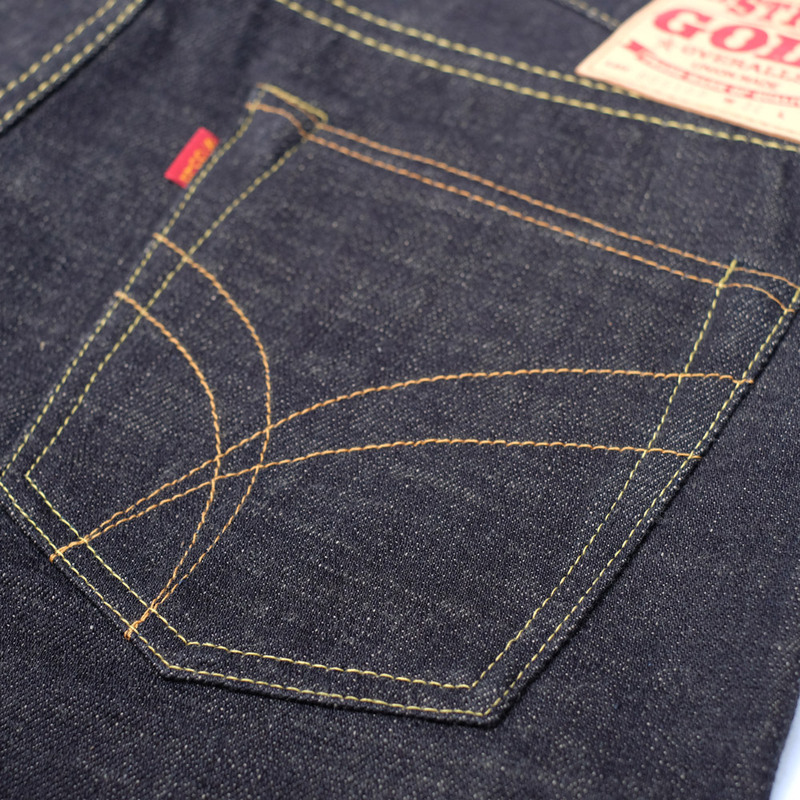 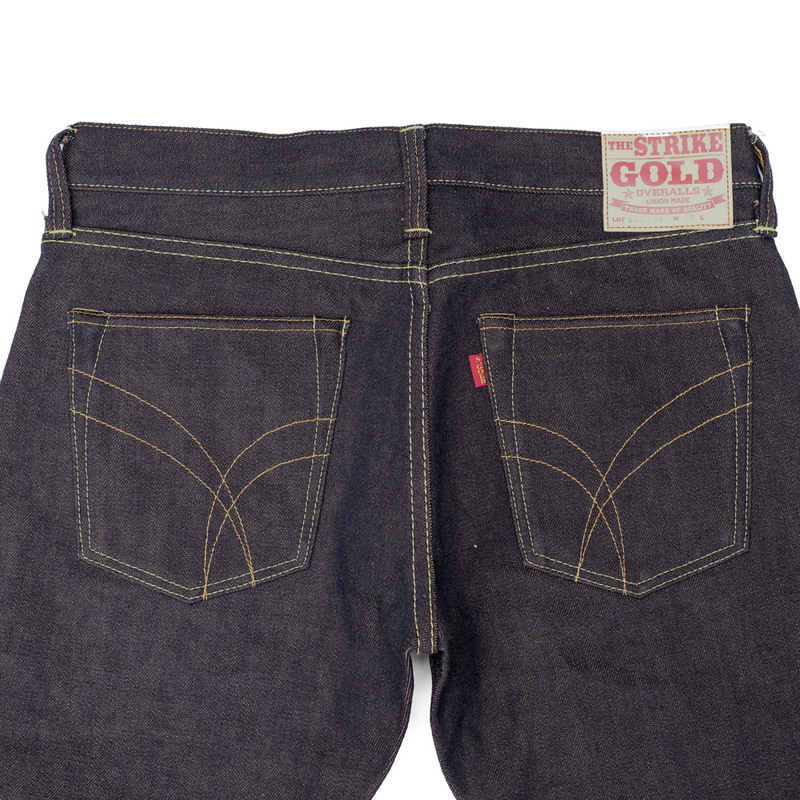 The 2105 jeans from The Strike Gold are a great fitting, slim and straight (not skinny or tapered) mid-low rise well thought out and solid pair of jeans. 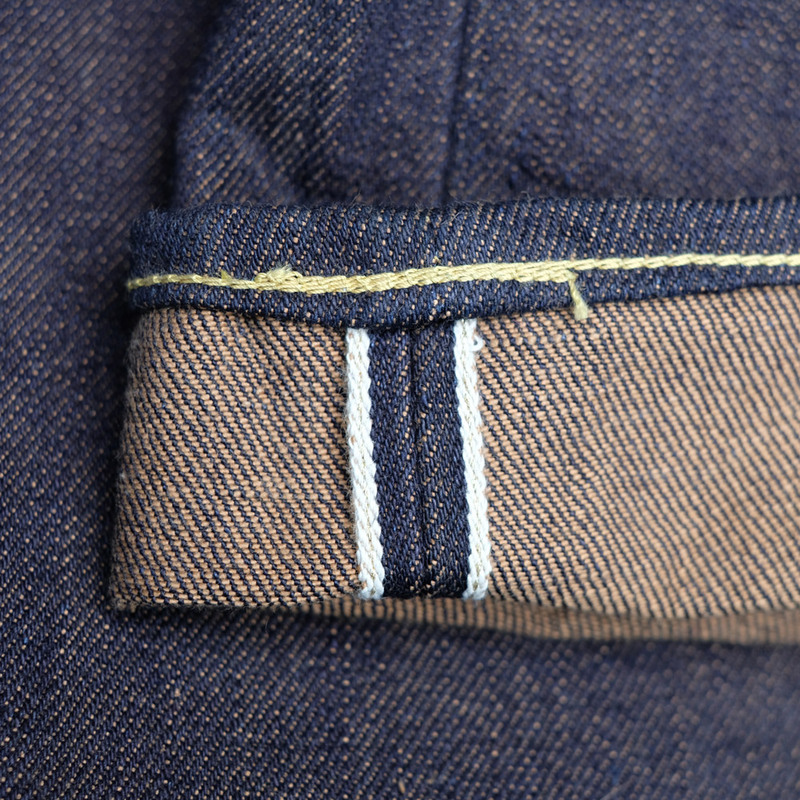 Starting off with a slightly purple hue from their natural indigo dye but fairly quickly showing signs of the beige weft which gives them a beautiful vintage slightly muddy appearance. 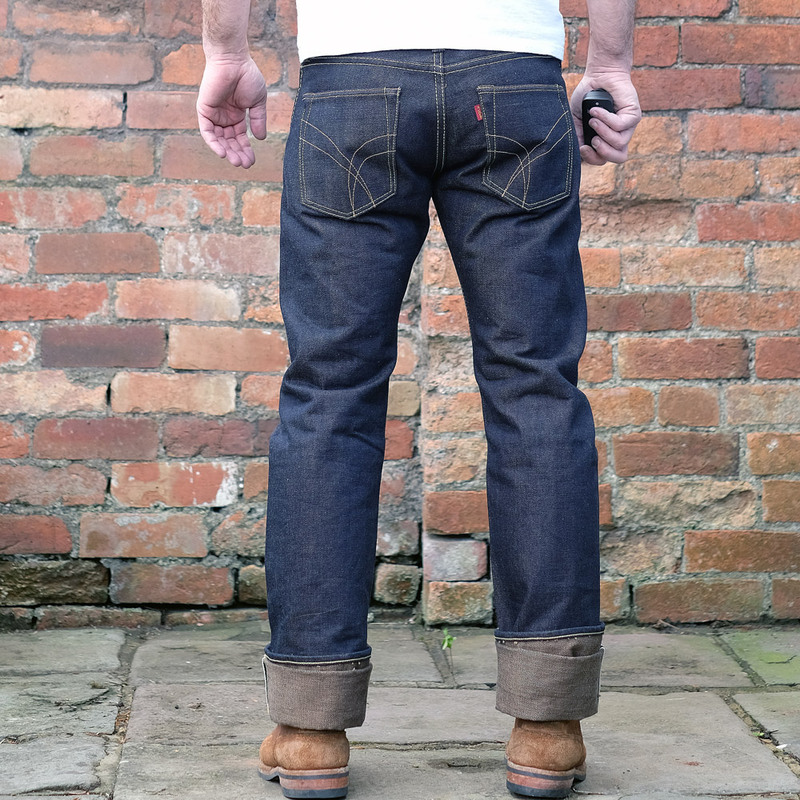 THE DENIM: has plenty of character, particularly after their first soak/ wash. 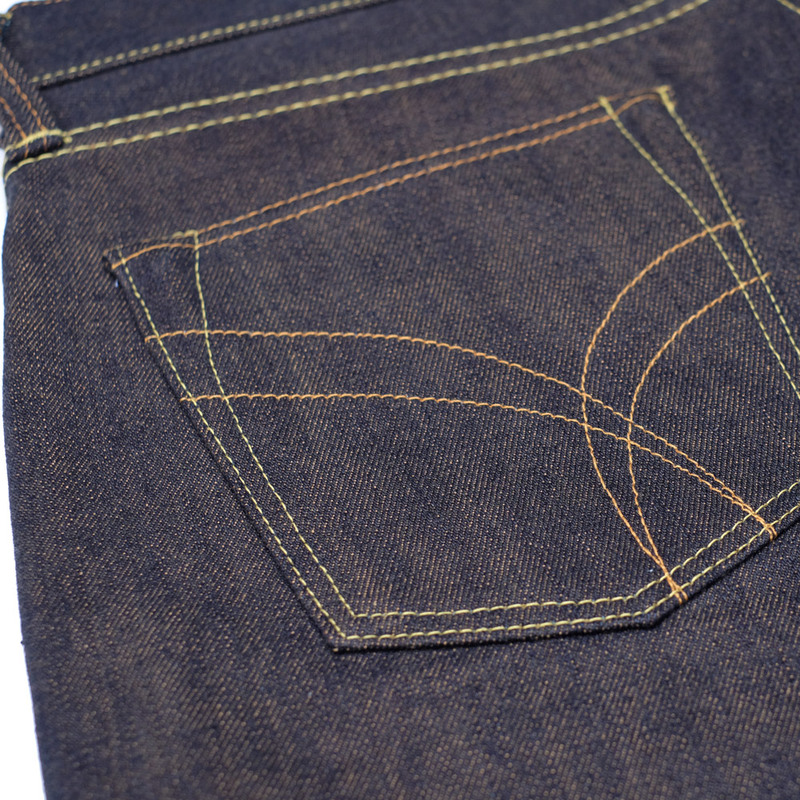 It has a slight uneven slubby texture, is very hardy and crisp but softens with a nice drape in a short time. 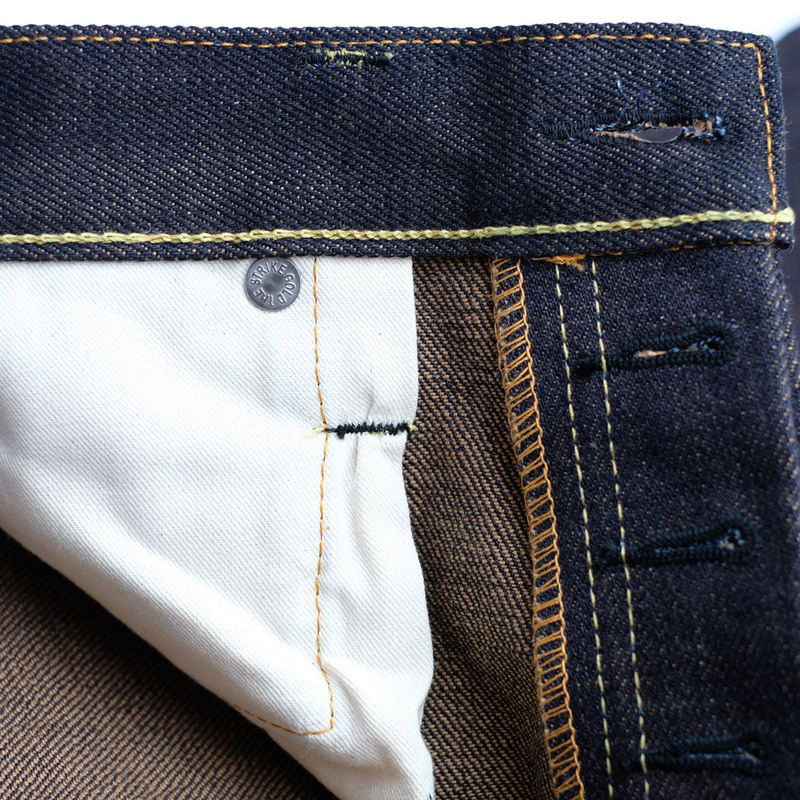 SHRINKAGE: The 2xxx denim is unwashed/ unsanforized and will shrink after the first soak/ wash by up to 0.5-0.75 in the waist, 2” in length and generally tighten all over. 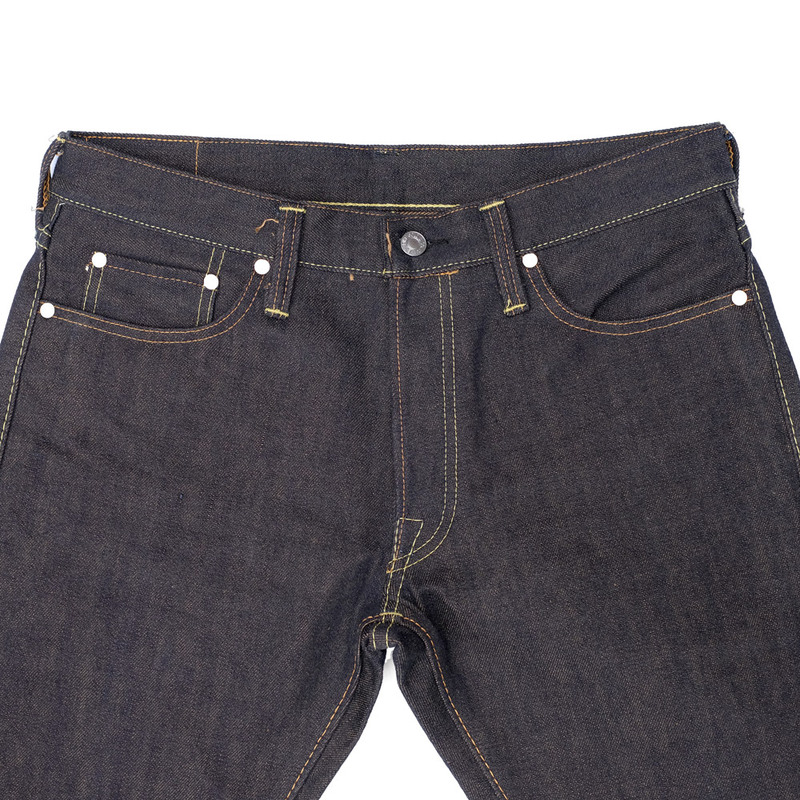 The waist will stretch back out but this denim doesn’t stretch back out as easily as some. 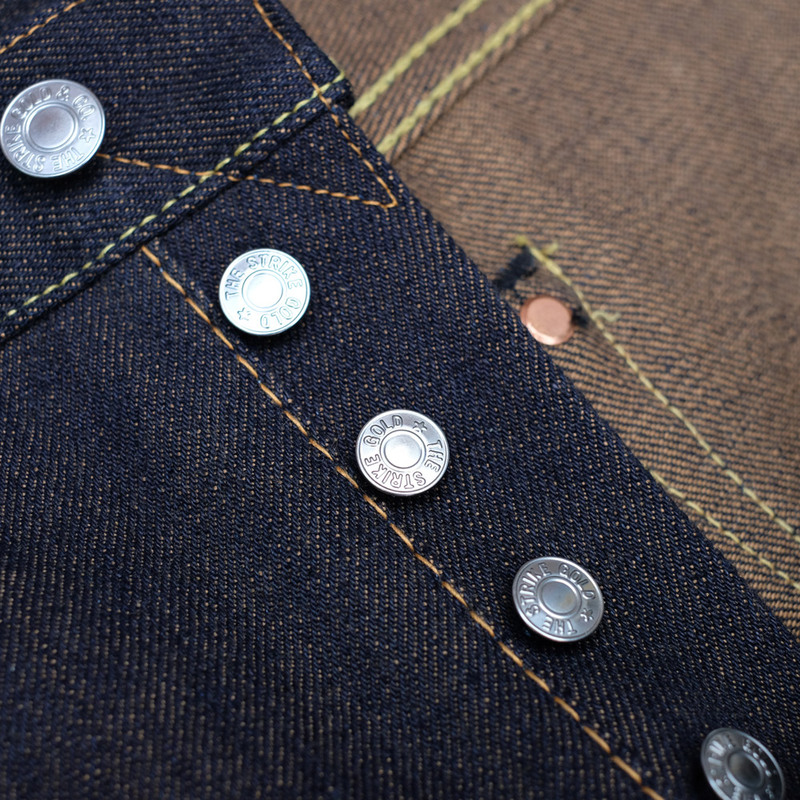 See sizing info for more details. 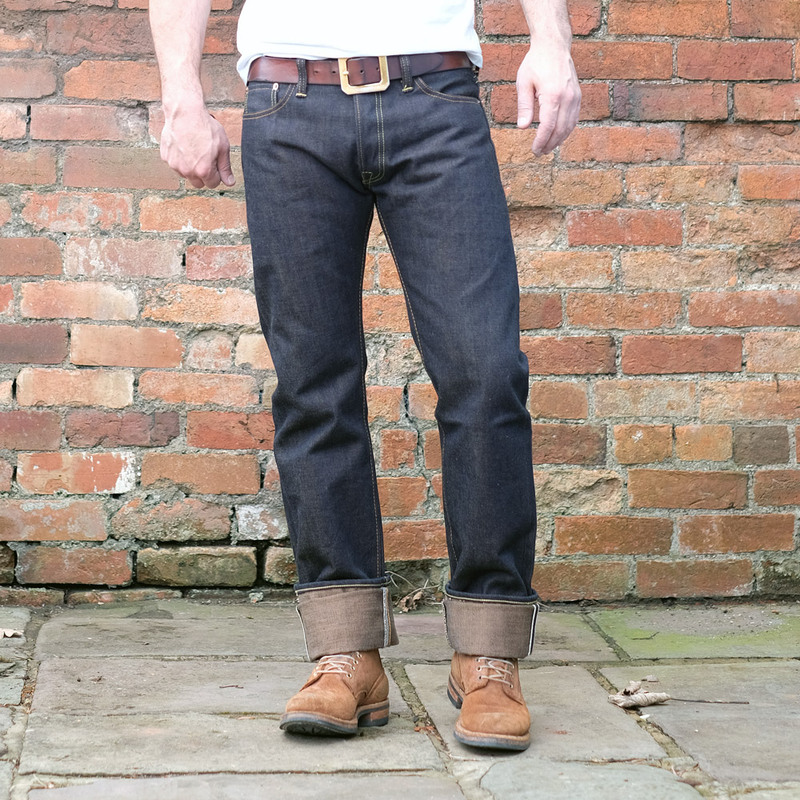 The “model” 5ft 10-11″ tall (180 cm), medium build weighing in at roughly 82 KG. 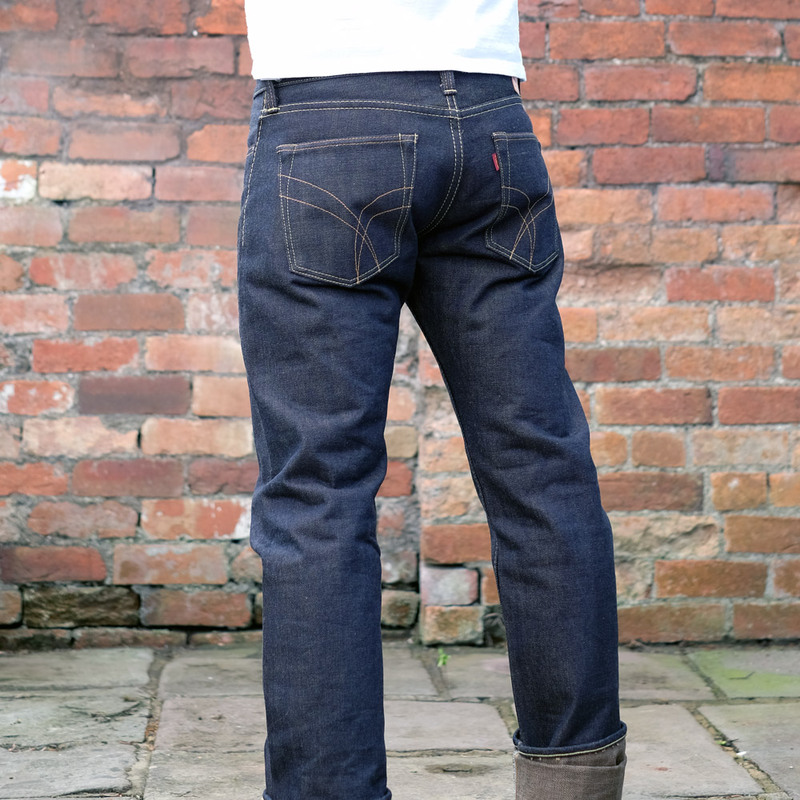 He is wearing a size 33, which is pretty much how the size 34 will look after washing. 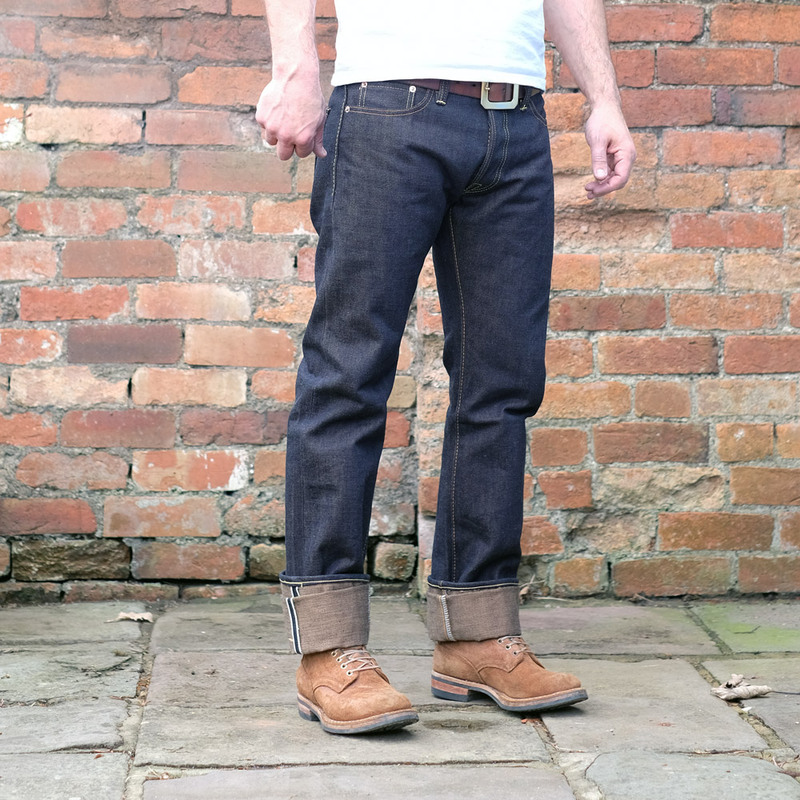 He is typically a 32 in jeans/ trousers from Western brands and a 33 mostly in Japanese repro brands so would go for a 34 in the 2105. 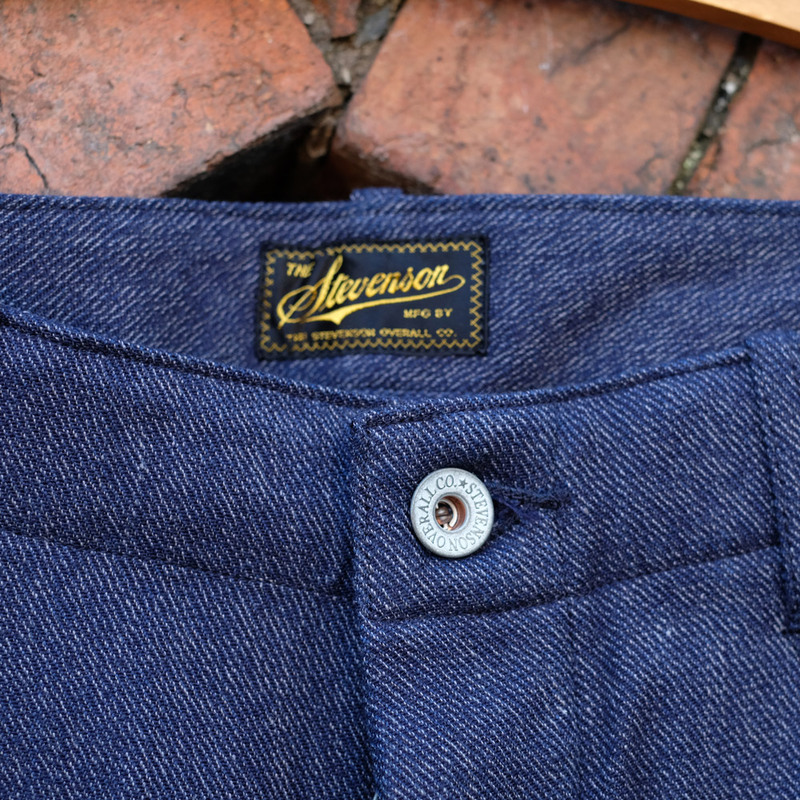 Please see how we measure our products here and compare the measurements chart against an item of yours that fits how you would like this to.